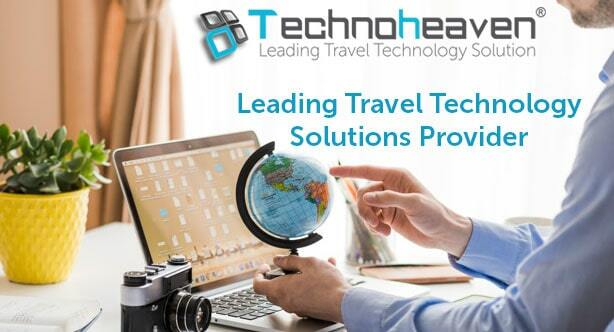 Tour Operator Software | Trending Technology Solution for Tour Operators. Tour operator software will help you to grow your business faster in easy and effective manner by providing online booking facility. It is great CRM (Customer Relationship Management) software which improves your customer service relationship and builds your customer interaction and increase sales growth of your business. Tour operator software will bring a chance to light up your opportunities on increasing productivity, sales and also extends the range of travel products in simple and fast way. Tour agency software will handle back-office functionalities, bookings, CRM and accounting. As in all this tour operator software will increase your online booking quickly and efficiently. Tour operator management software that helps you to manage your inventory and groups travel, create a package also improves your services ordering, manage accounts and will achieve full awareness into your travel business. Tour Operators are organizations that specialize in the manufacture of tour packages. A good Tour Operator software is Innovative and has great highlights to help your Travel Agency accomplish great deals. It is the tour operator management software which helps in managing the activities which come in use in the booking and managing details of customers. With the help of it, travel agencies can easily handle the flow of requests and much more. It encourages organization to develop easily and get a great profits as well. It enables travel sites in the promotion of apartments, hotels, resorts, guest houses and villas. It gives unparalleled insights into benefit. It enables their customers to appreciate the immense efficiency with error correction process, increase productivity, enhance the ability of the agency for managing changes. It shorten time through fast keyboard entry of transactions, full integration and outer transaction import routines. Ticketing module helps you to keep track record of tickets confirmed, issued and reclaimed. In this System customers can deal with their own profiles, see booking history and upload their travel photographs by signing into accounts. In today’s booking structure, people want everything as per their own needs. So we have activated our online portal with strong packaging systems which let you enhance your holiday packages as per your client requirements. Average of 5.0/5.0 based on20 reviews. Some of these client’s incredible words have through-out thrive us to deliver the finest output with are highly passionate team. These reviews and always strive to achieve their gratification. "Intuitive travel software to with frequent adaptation of technology which leads to growth of Travel Business. I have been using Technoheaven’s Tour Operator Software with self-tailored customizing according to needs to attract customers for tour bookings. A smarting ticketing module leads to easy and fast bookings for customers which make us happier with their positive feedbacks." "A smart game changing Tour Operator Software in the travel domain from Technoheaven. Gave some un-usual peeks and small fall in the initial stage of our travel business after some extended time span our bookings got a gradual increase and raise the business. It’s been an outstanding to enhance our revenue in the immense travel market." "It handles the bookings for my business in a flexible manner and eliminates the possibility of double booking. They regularly roll out upgrades and I feel that the product has evolved nicely since I started with them." "It's easy for me to book from the back office and it's easy for my customers to select exactly what they are looking for. Easy booking process equals more bookings. More bookings equal more revenue!" "Irresistible software for managing the customers and easy monitoring for tour according to bookings. Effortless interacting software with easy going booking options for customers. Adaptive technologies to lead in travel industry with ease. " "Cleverly flexible. Fully customizable settings to do all sorts of tailoring of available time slots, staffing, pricing, etc. Travel software which runs into something I wish it would do that it doesn't already do. The support team of Technoheaven calls me from time to time to check if they can help me configure my upcoming seasonal schedule or anything else. Adopting new features and integrating to keep in market in the immense travel industry is theirs fundamental strategy." Flexible, intuitive, and an excellent client interface and booking method. "A key feature for any booking system is that the easy use for my customers. It has to be terribly simple for purchasers to use and be each step. Two steps, with no reserve log-ins or obvious knowledge capture steps, and my customers have their booking confirmed. The backend is simple to use too and presents many data to assist and run my business." "The easy to use software has allowed us to take control of our business and reservations. The pace in which new features are being added and the amount of interaction we as customers can have with the business. The customer support is more robust." "Ease of use, Simplicity, Graphics and color scheme are pleasant. User interface is quite good for first time users. Can accomplish things easily on the administrator side. improved booking and customer information management system to improve the efficiency of our guest's booking experience"
"Technoheaven designed tour operator software the way we work from the bottom up. This information is listed on the confirmation so we no longer have to call each customer to give them a pickup time like our old system. Booking is quick and easy from the back end I like the ability." "An absolute software support with exceptional customer service from Technoheaven. They are available 24/7 to call or email and return your calls or emails within the same day. With day to day a smart approach to adopt and lead their client business with niche technology is their ultimate motto for Travel Software they provided us. Then I can always give them a call to ask how it works or how I can adjust it that way I can learn when I get a break." "Technoheaven’s streamlines our booking process and allows us to focus on running a business while also allowing customers to book at their leisure. Their support team is top notch too. The software itself is very flexible and thorough. Its web based and also a mobile app. I predominately use the web. It has resource management to keep from overbooking and has options for activities to start at specific times / intervals." "I switched to Technoheaven’s Tour software 2 months ago, and there's no looking back! I love the clean look of software and the ease of use for both my customers and on the back end. All of the credit card processing is done seamlessly through multiple payment gateways for effortless payment transaction. " "Technoheaven’s tour operator software has been my booking program since my company began. Since that day, I have received COUNTLESS calls asking me to switch. Technoheaven is the only company that is so confident in their product. The value I've received is un-measurable. Their small, one-time setup fee is not just the by far the best purchase I've ever made." "Technoheaven has made my job so much easier! I have a very busy guided boat rental business in Florida with 2 locations. In season I was going out 3 times a day with 5 boats totaling 15 boats and 30 customers. I was handling all of this manually before Peek Pro which took up a lot of my time. Now, I drive people to my website and have they booked online. Peek has places for me to communicate with the customer built right into the software." "Technoheaven has been working well for us overall. The Tour Operator Software as been easy to use and when we do have questions their teams have been able to help us out. A feature that we often use and have found success. While it can take some time for their partner support team to answer some questions, they always get our concerns fixed. I would recommend using this software." "With streamlined and effortless booking for customer never leads to such issues with the booking. The customer received the info, showed up to their booking, and had no questions during the whole process. This makes least use of bookings over the phone. Technoheaven provides me the option to send out a custom price and modify the booking easily. Secured payment for customers with accepting payments gateways integrated. " "We're a small business with no dedicated admin staff - Technoheaven has been precious for us and a key factor in the sustained increase in our online booking numbers. As a parasailing operator, bad weather sometimes forces water activities at our location to be closed at short notice, and being able to quickly deal with customer notifications, rescheduling and refunds is a feature of Technoheaven’s TOS that we find particularly useful. " "We started using Tour Operator software from Technoheaven on our tour's website in 2014 and have been very pleased with it. Unlike other booking software we tried and have seen, Technoheaven TOS is easy to understand and has clean design that makes it easy to use and look good on your website. On the backend it is simple to setup, make changes and manage bookings." "Technoheaven’s TOS takes a ton of the work load from the booking process and streamlined it so people are ready to go as soon as possible. It makes it mischief easier for us to track and keep up with our customers and prospective customers and even makes marketing and promotion more effective. The support is great and the interface is easy for us and our customers."